shapes, but always suggested water. The Japanese character for water, mizu, evokes currents. 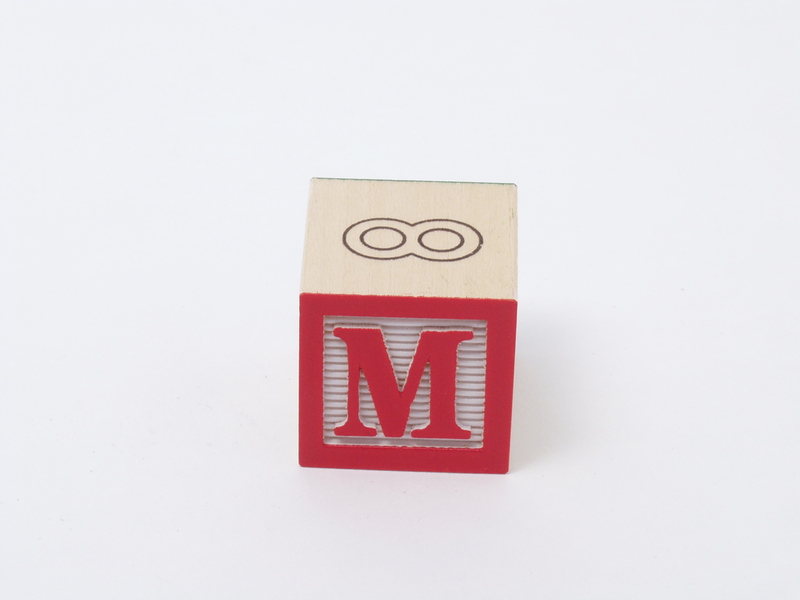 M is a primary sound throughout the world. The prehensile upper lip undresses branches and grabs shoots. Wavering, I share the lack of definition, of clarity in design and choice. from Hindi to Mandarin, Hawaiian to Quechua, and of course English. Eleven strokes compose the Japanese character for snow. A smile would reveal no upper front teeth. individual flakes striking the surface sound similar, despite size disparities. It can also accurately be classified as a mineral. Solitude to connection, dark on white. The lone traveler. 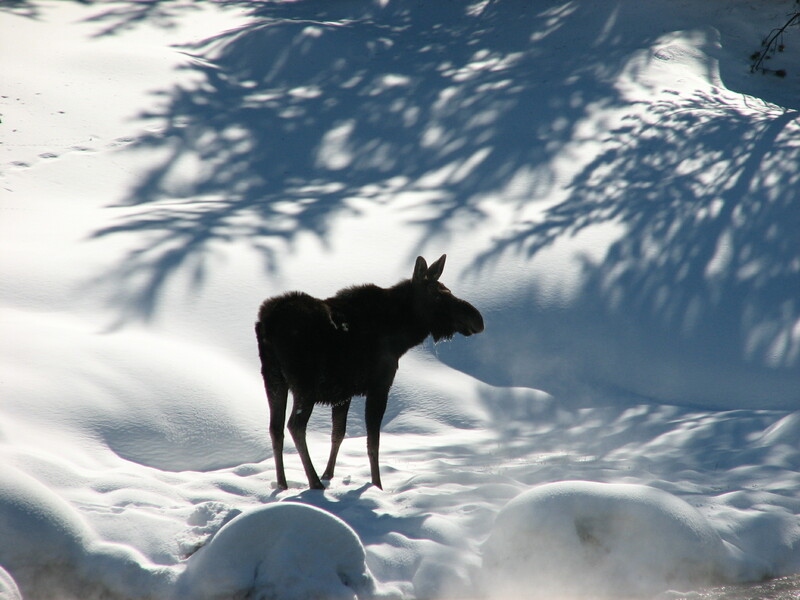 This entry was posted in language, nature, Perception, Poetry, Writing, written language and tagged creative writing, language, moose, nature, poem, poetry, writing by robert okaji. Bookmark the permalink. We seldom see snow here, and moose, of course , would not fare well in this state. Too hot, insufficient water. But the letter M is abundant! I haven’t seen snow in a few years because I’m not in Canada for the winter usually. Never have seen a moose in London. I’m in Trinidad most of the time so I was hoping that I’d be seeing some snow because I wanted to take photos. Looks like this isn’t happening. sigh. I like the poetry, images, and interesting juxtapositioned streams of thought. Thank you. These connections, imagined or not, seem to find me. And thank you for your kind words. As a student of ancient languages the reference to the Phoenician mem and its association with water clenched my interest. And the way you weave “M” and Moose and snow together makes for a mentally fascinating read. Great work! Thanks very much. As you might suspect, I’m fascinated with language and how our written characters might have evolved. Rich fields to harvest! Wow! ‘The lone traveler’ – stunning ending to a beautiful poem. Delighted you like it. Thank you. I’m not sure what your comment means, but thank you. i haven’t seen a moose since i was in the canadian rockies in the early 90s. always solitary. never plural. snow, on the other hand, is always plural. usually a plethora of plural. anyway, nice juxtaposition. The moose was loose! Don’t believe I’ve ever seen one. Hi. It’s me Tom Balistreri. Forgive me for posting this in your comments. I wanted to let you know that I still read, follow and enjoy your posts. My reason was because I had changed direction in my writing and although I had almost 2000 followers I realized they signed up when I was writing humor. If this stuff is not you cup of tea, that’s ok I understand. But if you’re interested, that’s were I hang my hat now. Thanks for letting me know, Tom. By the way, I just retrieved this reply from my spam folder. I’m not sure why it was there. Thanks, Cate. I’m taken with the fact that so many of a child’s first words begin with a bilabial consonant, whether “m,” “b” or “p.” It makes sense, but I’d never thought about it until I started reading about moose, and somehow followed a thread to bilabial consonants. Lightning strikes me from so many different directions! I am still recovering from “Self-Portrait With Umeboshi.” Listening to snow from underwater? Brilliant line. Nothing but brilliant lines from you! I just ate umeboshi three days ago. Still a favorite treat. A little rice, a few umeboshi. Nothing better! And thanks again for your kindness. Much appreciated. Ha! I’ve never tried natto, but from what I’ve heard, it would be an acquired taste. But I’d be willing to try it, especially with the right beer. Really like the wavering concretizations. Don’t mean to be pedantic, but ‘mem’ predates Phoenicians by at least 400 years. Thanks, David. I’m likely working from an outdated or non-scholarly source. Could you offer a title or two for me to read? Albright, W.F. The Proto-Sinaitic Inscriptions and their Decipherment. Vol. XXII. Harvard Theological Studies, Cambridge, MA: 1966. Canter, Martha L. and Keith N. Schoville, ed. Sign, Symbol, Script: An Exhibition on the Origins of Writing and the Alphabet. Madison, Wisconsin: University of Wisconsin Press, 1984. Denman, F. The Shaping of our Alphabet. New York: 1955. Gaur, Albertine. A History of Writing. London: The British Library, 1984. Gordon, Cyrus Herzl. Forgotten Scripts: The Story of their Decipherment. London: Thames and Hudson, 1968. Sampson, J. Writing Systems. Stanford: Stanford University Press, 1985. Senner, Wayne A., ed. The Origins of Writing. Lincoln, Nebraska: Univ. of Nebraska Press, 1989. Trustees of the British Museum, ed. Reading the Past: Ancient Writing from Cuneiform to the Alphabet. London: British Museum Press, 1990. Not at all, David. Thank you. brilliantly composed. this form of expression is extremely difficult to pull off (or maybe “strip away”). Too often the poem becomes just a flat list of facts somehow associated to one another, but with under surface connection bubbling up to the surface. The ending ties things together, yet at the same time completely changes everything that has come before it, putting into question even the nature of the form the thoughts are expressed (solitude and distance (disconnected) voice). Thank you, Doug. This is a form/style I’ve been working with for the past three years, with varying degrees of success. It’s challenging and interesting. So richly painted and layered. Has elements of the vision of someone like Francis Ponge and as wonderful. Ponge! One of my early favorites. Thank you. Not at all, Robert. I think your piece is wonderful and it completely captured my imagination. Ponge was a favorite of mine as well, though the prose poem has always eluded me. Happy Holiday!